Transiting Jupiter opposite natal Pallas: ethics or lack thereof made public. Transiting Sun conjunct natal Pallas and transiting Pallas square natal Mercury: special focus on ethics this week. Transiting North Node conjunct natal Neptune in the Ninth House: public (Ninth House) deception (Neptune), amplified (North Node). 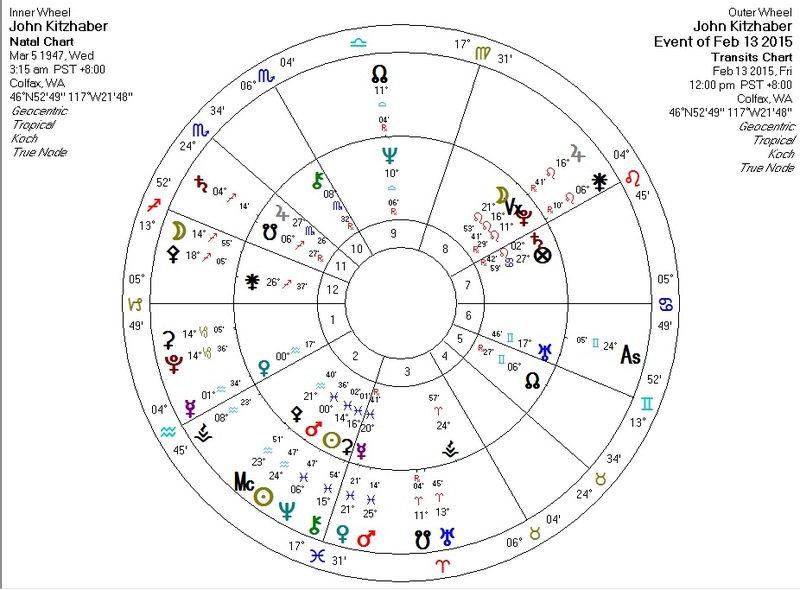 Transiting Saturn conjunct natal South Node in Sagittarius in the 11th House: hidden elements (South Node) in the world of public affairs (Sagittarius and the 11th House), made manifest (Saturn). Transiting South Node and Uranus trine natal Pluto: loss (South Node) and interruption (Uranus) of power (Pluto).